Are you ready to invest in your wellbeing? If your pillow is 12 to 18 months old, it's time to replace it. And since your health is at stake, consider purchasing a natural down pillow that will help you sleep comfortably through the night. Pillows made of polyester, foam, or latex aren't able to adjust to your body as you move, whereas you can shift a down pillow's stuffing to provide support where you need it while maintaining a soft cushion. If you're ready to shop for a down pillow, here are some important considerations to help you spend your money wisely. After all, down pillows are offered in a huge price range, from $25 up to $450. So it's important to know what you're paying for. A good night's sleep improves physical and mental health, so invest in a pillow that will keep you comfortable through the night. How does a down pillow differ from a feather pillow? Down is a cluster of fine feathers between a bird's skin and outer feathers. These clusters are one of the best natural insulating materials in the world, as they hold air between the fibers and create the desirable loft for a pillow. Although outer feathers do contain a small percentage of down, alone, they're quite firm. Inner down is lighter, softer, and lasts longer than feathers. These qualities make a down pillow warm, quiet, plush, and lightweight. With regular maintenance, a down pillow can retain its loft three times longer than most fills and it will never bunch up like other fibers. Some pillows are made from a blend of feathers and down to reduce cost and provide more resiliency in the pillow. If feathers are included, look for a pillow constructed with an inner feather core that's surrounded by down to maintain a softer feel. Down is a renewable resource gathered from ducks and geese. (You can look for down products that are Responsible Down Standard Certified by the Textile Exchange nonprofit organization, which aims for the humane treatment of ducks and geese.) Duck down clusters are smaller and less resilient than goose down, so a duck down pillow will have a slightly shorter lifespan. Still, duck down provides a budget-friendly alternative to goose down that is still superior to other pillow fill options. 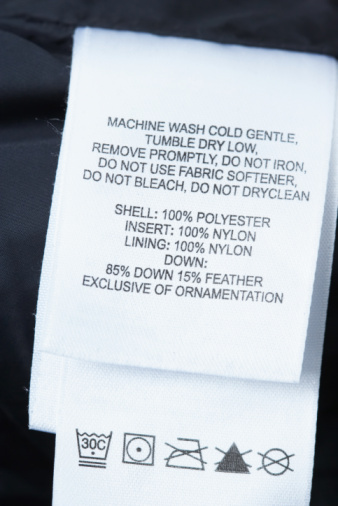 Goose down has a consistently fine quality fiber. The down clusters are larger than those on a duck because the birds themselves are larger. In fact, Hungarian goose down is considered the best in the world because the birds are the largest species of geese and grow the largest clusters of down. If you're concerned that down pillows might trigger allergy symptoms, Dr. Nabeel Farooqui told Live Science that down typically is not an allergen source. Some down pillow manufacturers use a special cleaning process so they can advertise their down as hypoallergenic. However, mold and dust mites are the real problems, and they are more abundant in other types of fill, including synthetic fibers that are often advertised as hypoallergenic. When you compare down pillows, you'll notice a fill power rating from 400 to 900. Fill power is often misunderstood to mean weight, but it actually measures _loft—_how much space one ounce of down occupies at maximum loft (entirely fluffed and uncompressed). For example, one ounce of goose down that fully lofts at 600 cubic inches has a fill power of 600. Air trapped by larger down fibers creates higher loft, greater insulation, and is lighter weight. A higher fill power also indicates that the down will retain its loft for a longer period of time. A high-quality down pillow will last ten years or more. The outer fabric or shell of a down pillow is usually a tightly woven cotton fabric with a thread count higher than 200. A high thread count per square inch provides a smoother surface and prevents down from leaking out. Some pillow shells are made of unbleached organic cotton. Also, look for evenly stitched seams or double-stitched seams that will help retain the down. Feathers should not poke through the shell. Down bed pillows are available in three sizes: standard (20 by 26 inches), queen (20 by 30 inches), and king (20 by 36 inches). Greater firmness is created by increasing the amount of down in a pillow; it does not refer to the fill power. To ensure you choose a comfortable level of firmness, test the pillow in the store or at home for ten minutes, leaving on the plastic wrap. The following guidelines are general; your neck and shoulder dimensions determine the true amount of firmness you need. You should clean your down pillow twice a year to maintain the down's natural loft. Read the label! Some pillows require dry cleaning. Others might recommend spot cleaning only. And some pillows will do just fine in your home washer and dryer. 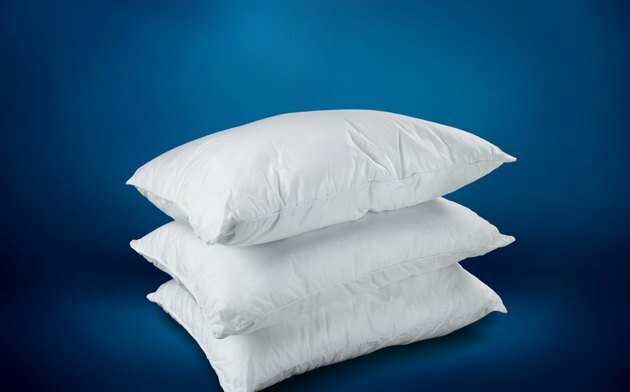 When properly cared for, a down pillow will last about 10 years, depending on the fill power. Some manufacturers offer a lifetime guarantee as long as you take proper care, keep labels intact, and have proof of purchase. It's worth comparing guarantees to protect your investment. Then you'll have one less thing keeping you awake at night. A down pillow is soft and supportive.